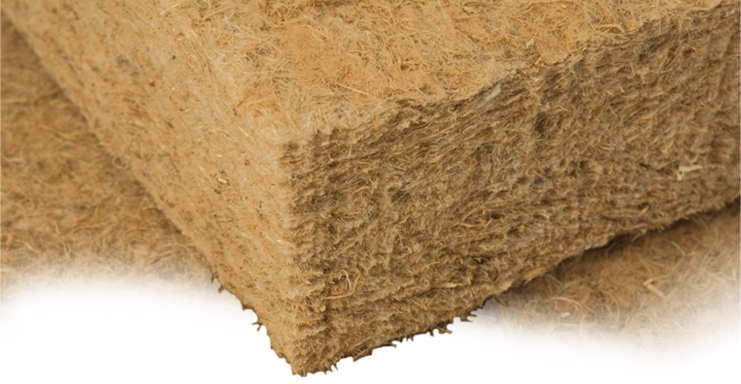 Leader in the manufacturing and the distribution of ecological insulations and component of wall in North America. Our products are made from vegetal fiber and use the lowest grey energy on the market. To offer you products of high quality while respecting both the environment and human beings.To Minimize the energy used during the manufacturing of our products in order to emit fewer greenhouse gases. To not treat our products pointlessly with carcinogenic products,such as fireproofing products. A healthy spirit, in a healthy body and a healthy house, this is our reason for being. In order to decrease greenhouse gases, the use of the vegetal fibers for construction is the only alternative.This raw material is renewable and capable of storing of C02, it represents an inexhaustible resource stemming from our local environment. It is a house with the lowest ecological footprint ( grey energy) in connection with the choice of materials. Perspirantes walls, southward fenestration, walls inertia and the healthiest possible materials for the individuals inhabiting it. this is our definition of an ecological house.